Tarot is a massive subject — in many ways, it contains the combined wisdom of the ancient world. Its genius lies in the fact that it simplifies the whole of psychology, astrology and mythology into 78 pictures so potent that they can not only be used for understanding the future, but also as aids to understanding the self. Each of the cards of the Tarot, especially the “trump” cards, embodies a powerful universal archetype, and can help greatly in learning more about the world and your place in it. Studying the Tarot can therefore be a truly “magical” process as it can facilitate your own growth as a person, greatly developing both your own understanding of life and your own intuitive faculties. The Tarot is a massive map of astrological, planetary and elemental conjunctions. 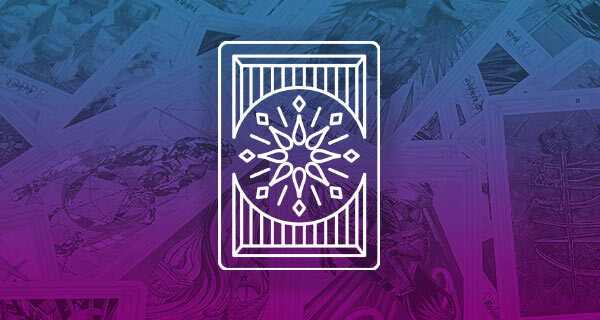 If an astrological chart can be said to represent a person’s individual astrological makeup, the Tarot might be said to be an astrology of life itself. 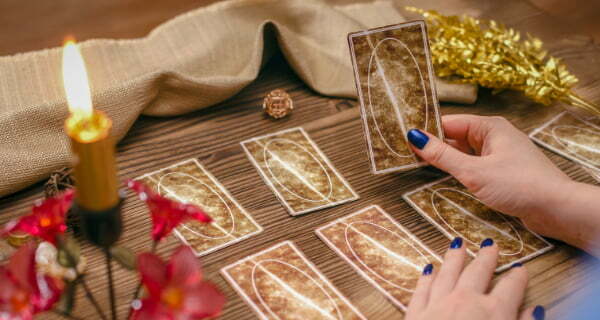 Classic Tarot – the proper decks, which are based on or which are slight modifications of the Rider-Waite Tarot – is divided into suits and trumps. • The four suits – Wands, Cups, Swords and Pentacles – represent the four elements, or Fire, Water, Air and Earth, respectively. More broadly speaking, these could be said to represent the qualities of Will, Intuition, Intellect and Physicality. Each of the suits is divided into the court cards, or Ace, King, Queen, Prince, Princess (the elements and sub-elements) and the numbered cards, each of which directly represents 10 degrees of the Zodiac, adding up to all 360 degrees of the Zodiac in total. The twenty-two trumps represent the four elements, seven classical planets and twelve astrological signs (there is some slight overlap). If this is confusing, that’s OK – the Tarot takes years to study and learn properly, a deeply rewarding but long process. It’s possible to only slightly scratch the surface of its profound symbolism within a short article. The important thing to realize is that the Tarot is rooted deeply within astrology – and that astrology can help you in better understanding the Tarot, and vice-versa. Each of the Tarot’s 78 cards represents a combination of elemental, planetary, astrological and Kabbalistic material. Importantly, there is a specific astrological formula behind each card that determines its meaning. In many ways, the Tarot is a way to visualize this information in pictures in order to better understand it. Think of it as an astrological comic book that you can shuffle. The best Tarot deck is the Rider-Waite and those that are based on it, including the Universal Waite and others – this includes a good proportion of the decks on the market. The Rider-Waite deck contains the correct astrological attributions and conjunctions. Many also favor the Thoth deck, which was designed in the 1940s – while still based on the basic pattern of the Rider-Waite, the Thoth deck contains slightly updated, modernized astrological information and symbolism, and often proves to be more accurate when used for divination. The best way to learn is to get hold of a Tarot deck that has the astrological and planetary symbols clearly drawn on each card. (The Thoth deck is excellent for this.) Many people come to Tarot and find its symbolism confusing. When first learning to read the deck, they often go about trying to memorize the meanings of each card given in the small booklet that comes with the deck. However, if one already knows what each of the planets and astrological signs represents, and what they mean when combined, they can then actually understand why each card means what it means, instead of simply trying to memorize what somebody else has written about it. 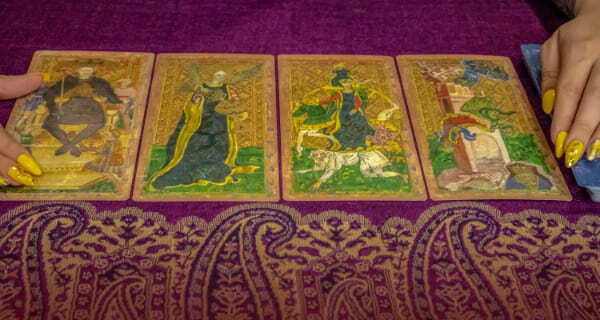 Knowing astrology, and even the Kabbalah – the ancient mystical system upon which the Tarot is based – will help one understand the Tarot in a true fashion. Tarot, astrology, and Kabbalah are actually parts of a greater whole, and learning more about any of them will greatly help your understanding of the others. And of course, all of this can only help in one’s self-understanding. Here’s wishing you a wonderful experience studying with one of the world’s greatest teachers.